Back in December, just before my trustee inauguration, some folks at a community meeting asked me what I was going to do first once I was in office. My response to them was short and simple: learn. Don’t get me wrong. I entered public office with a firm commitment to fulfill the goals our campaign talked about. However, I also entered with the humility that comes from knowing important changes take time and will not happen without an understanding of what is standing in the way. 100 days after entering office, I sit more optimistic than ever that we will accomplish our campaign goals and I maintain an ever-growing sense of appreciation for the folks who are working hard throughout the San Diego Community College District. Me and my new friends: Craig Milgrim, Dr. Maria Nieto Senour, Mary Graham and Bernie Rhinerson. One of the ways I have been most impressed by the District is in the way its leadership invests in training and education. I was a benefactor of this investment when I attended the Community College League of California’s Effective Trustee Workshop in Sacramento. Having a chance to join leaders from the San Diego and Imperial Counties Community College Association in advocating on behalf of our districts. 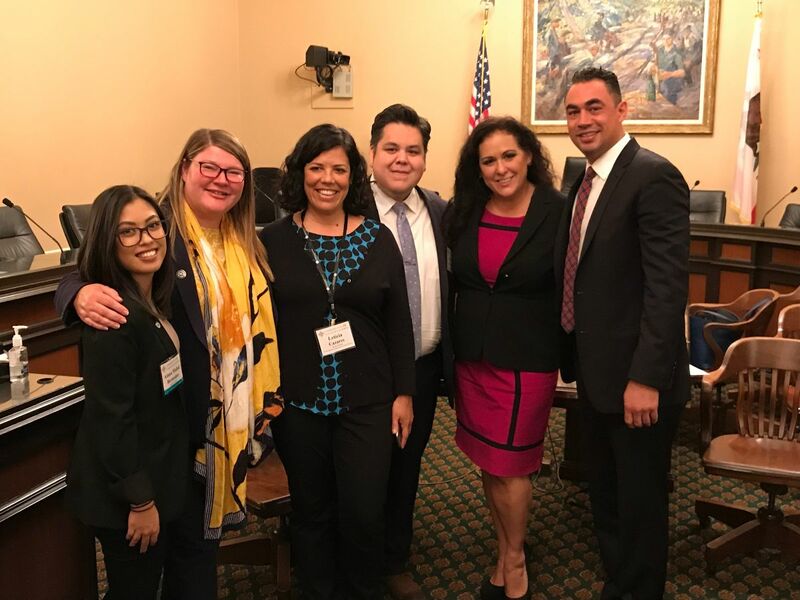 Pictured left to right: Student Trustee Alana Bermodes, Assemblywoman Tasha Boerner Horvath, Southwestern College Trustees Leticia Cazares and Roberto Alcantar, and Assemblywoman Lorena Gonzalez. Weeks later, I found myself in Washington, D.C. for the American Association of Community College Trustee’s New Trustee Workshop and National Legislative Workshop. In addition to learning more about the national community college landscape, I had an opportunity to hear from folks who are tackling some of the biggest challenges in higher education. Of particular interest to me was a presentation on improving enrollment and retention of young men in urban and rural communities. I was glad to see the District is deploying several of the most effective strategies. I was also excited to bring some new ideas back to our District. The trip concluded on a high note as our San Diego contingent visited with Senator Kamala Harris. I also joined fellow trustees Mary Graham and Bernie Rhinerson to meet with Congressman Scott Peters to discuss our legislative priorities. My time on the Board has not been limited to learning technical information about the community college system. 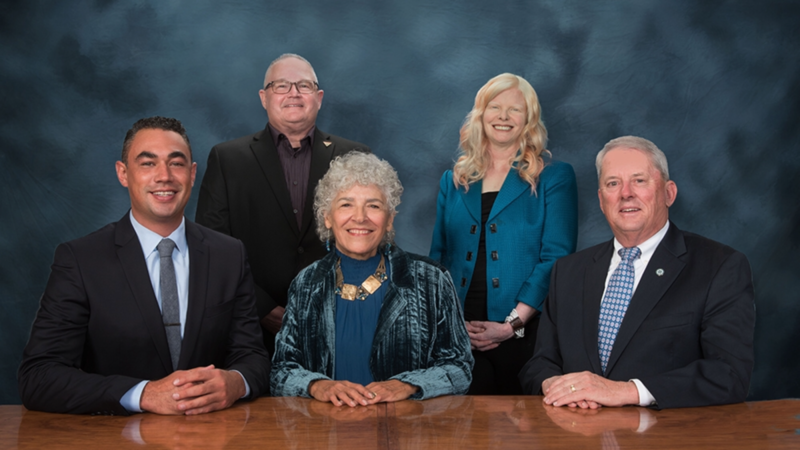 I’ve also had the pleasure of learning from and about my fellow trustees.Our Board President Dr. Maria Nieto Senour has shared some of her wisdom gained from serving on the board for 28 years. We have already found several opportunities to partner in pursuit of our shared passion for social justice. Bernie Rhinerson, a state and national leader amongst community college trustees when it comes to legislative advocacy, has been kind enough to impart some of his knowledge to me and we are partnering to strengthen the relationship between our District and local government. Mary Graham and my fellow board rookie Craig Milgrim have allowed me to tap into their decades of teaching experience – providing valuable insight about the realities of being a professor. Collectively, we have all started to learn how we will work together as a team that leverages our different backgrounds and complementary strengths to benefit the folks counting on us to lead the District. 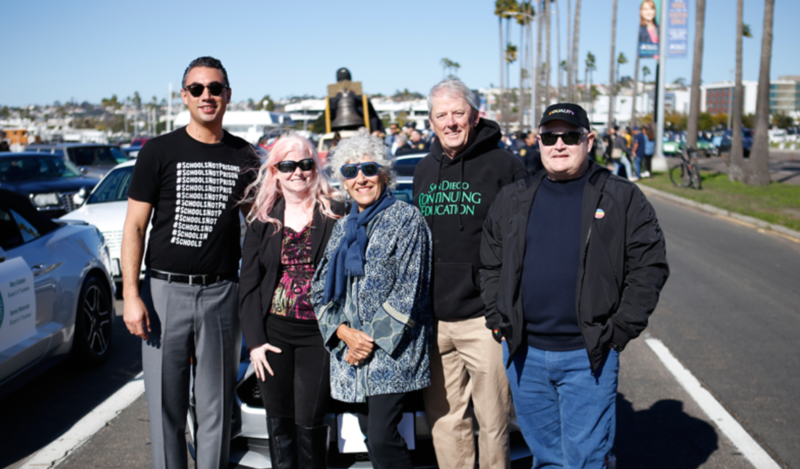 Trustees Mary Graham, Dr. Maria Nieto Senour, Bernie Rhinerson, and Craig Milgrim @ the Martin Luther King Jr. Parade. The workshops, trainings, and conferences have been fantastic, but my greatest source of information has been the incredible folks of the District. Our nationally renowned Chancellor, Dr. Constance Carroll, the administrative staff, professors and student trustees have been beyond generous in their willingness to respond to my endless supply of questions with kindness and critical information that will help me be a Trustee our community deserves. Thanks in large part to the folks mentioned and you, I am starting to see the ways I can make a difference. Bit-by-bit, I am finding my footing and gaining my stride. I still have a ton to learn, but I am making progress. And I am very grateful to have had so many good people and experiences come my way in the early stages of my tenure. As always, thanks for helping me get here. Paid for by Sean Elo for Community College Board 2018 | FPPC ID No: 1397864.